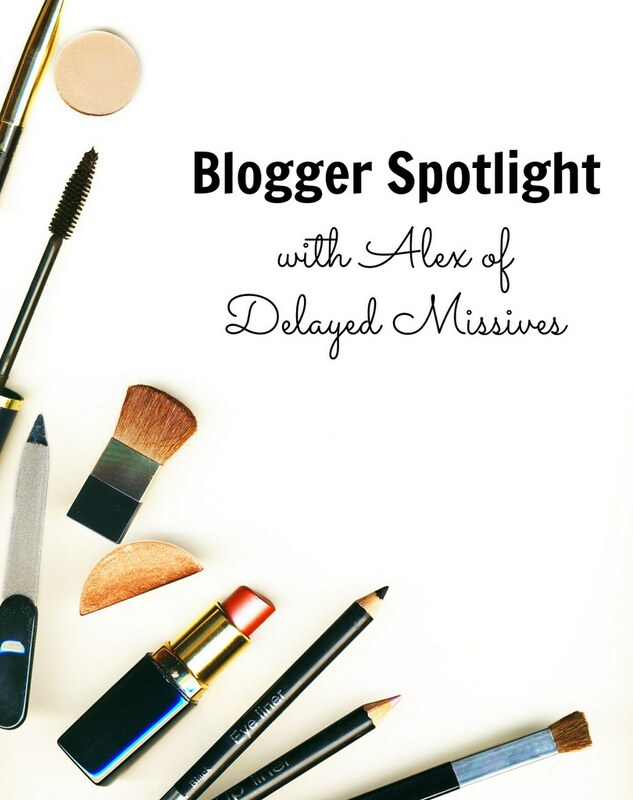 I’d like to welcome Alex of Delayed Missives to my blog today! Alex was one of the first bloggers I became friends with. Go check out her blog, if you haven’t yet, for NYC style, beauty and tech reviews and lifestyle inspiration. I’m a Support Engineer at DialedIN, a startup near Union Square in New York. I started my blog in 2010 (originally on tumblr!). In 2011 I renamed it and moved it to WordPress, and I’m considering a rename again in 2015. It’s best to choose a blog name you can grow with, although I find I outgrow general life things at a rapid pace. Maybe my blog will continue to evolve as I keep writing. I like to start my day with coffee (black) and greek yogurt (nonfat). I usually add in a bit of granola and fresh fruit, too. I love breakfast foods but don’t like to eat too much in the morning— it’ll put me back to sleep! Then it’s off to work, where I’ll usually do testing or fix some bugs. After work, it’s usually … more work. Then I might write a bit for my blog or read a book about computer programming. 3. What’s the best part about blogging? What’s the most difficult? The best part of blogging is definitely the people you connect with all over the world. I love the sense of community and having a peek into people’s lives. I’ve met so many friends from blogging. It’s really the best. The most difficult part is setting aside time to write. I often say I’m more a photographer than blogger, and writing takes time and effort for me. I don’t post every day, but a lot of work has to happen behind the scenes! The last book I read is a really nerdy one: Rails AntiPatterns by Chad Pytel. It’s basically a guide to best practices for software developers — not too interesting for most people, I think. 5. What makeup do you carry in your day bag? I always have MAC Lipstick in Russian Red, NARS Velvet Matte Lip Pencil in Cruella, blotting papers and some type of allergy eye drops. Lately I’ve been layering Cruella over Russian Red and love the deeper color. A mini Benefit They’re Real usually makes it into my bag, too. Never know when you’ll need a touch up for an impromptu happy hour with friends! I have to admit a particular fondness for White Collar. It’s been a favorite indulgence ever since the premier a few years ago. The majority of the show is filmed in New York, so I like to try to spot familiar places in each episode. I’ve also always wanted to run into them filming somewhere. I suspect I passed by a taping near Madison Square Park once, but I couldn’t spot any of the main actors. For a best all-around, I’d say Lightroom. I have Lightroom 5, which is a really excellent version. It doesn’t let you get into a whole lot of detail — I’d never want to edit portraits or wedding photos with it — but it’s a great all-purpose editor. The best thing is to take a perfect photo straight out of camera, but I’m still working up to that. Until then, I use Lightroom to help me with shadows and color correction. 8. 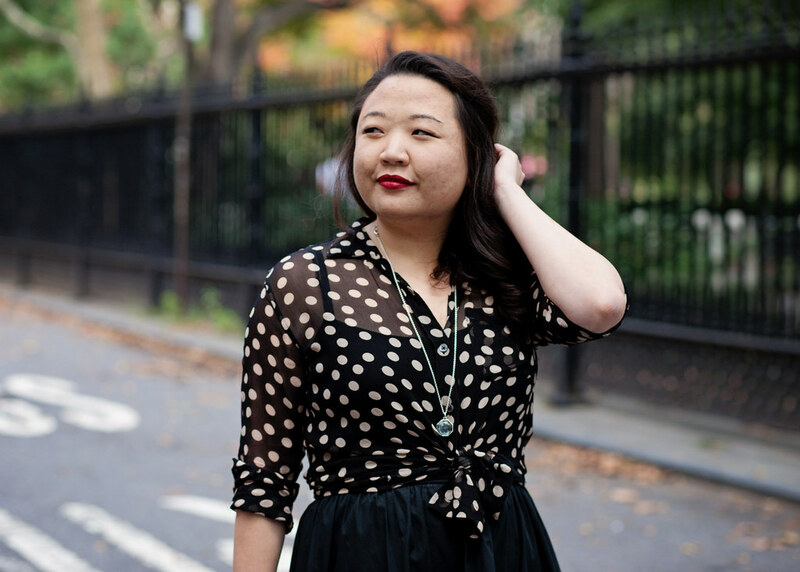 What advice would you give bloggers during the first year of their blog? It’s important to stay grounded. You might receive a lot of opportunities from brands or PR companies offering to sponsor content or send you gifts. Blogging can open a lot of doors for you and connect you to a lot of people. It’s always good to remind yourself to be thankful for that opportunity. On the flip side, don’t stretch yourself too thin. Don’t take on more sponsored posts or collaborations than you can handle. It’s totally OK to turn things down. Rachel Zoe once told me (and a room full of bloggers) to be kind. Because, well … why shouldn’t you? There’s no reason to be mean. That was her best advice to fashion and beauty bloggers on navigating the industry, and I think it’s the best advice for anyone, ever. In the morning I take coffee or an almond milk latte with four shots of espresso. Four shots of espresso is a great pick-me-up on a gloomy day, and almond milk is particularly good if I’ve skipped breakfast. I don’t like to drink much during the week, but after hours I’m likely to take bourbon or whiskey, neat. I also like a well-thought-out cocktail. Thanks, Alex, for the interview! Make sure you check out her blog and follow her on social media (Facebook, Twitter, Pinterest and Instagram)!